About Markeita aka "The Oracle"
Markeita Laneice Banya, DD, MPAS, PA, of My Retreat Med Spa in Atlanta, combines her diverse background and professional training as a physician assistant for a unique perspective on health and wellness. At My Retreat Med Spa, Dr. Markeita fosters an integrated wellness network of community healers, so patients in the Greater Atlanta Area have access to innovative health care. Dr. Markeita is a holistic coach and hormone replacement specialist, and through her multidisciplinary philosophy, she takes a holistic approach to helping men and women find their mind, body, and spiritual balance for a more fulfilling life path. Dr. Markeita’s educational experience began at the University of Nebraska at Omaha, where she earned a bachelor’s degree in general science, with an emphasis on biology, chemistry, and psychology. After that, she earned her master’s degree in physician assistant studies at the University of Nebraska Medical Center. 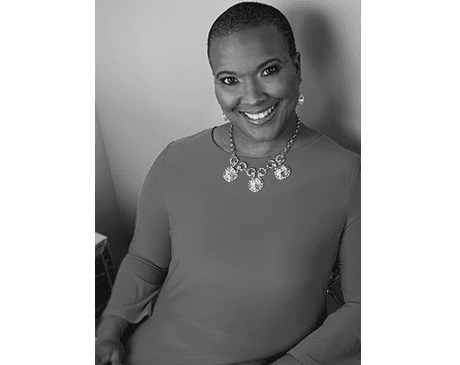 Beyond her medical degree, Dr. Markeita earned her Doctorate of Divinity from the American Institute of Holistic Theology, located in Birmingham, Alabama. Dr. Markeita is also an Amazon #1 Best Selling author, a Georgia’s first certified BioTE® hormone replacement therapy provider, and a master injector for neurotoxins, dermal fillers, and one of nation's leading experts for PDO threads. She is currently completing her second doctorate in the field of Indigenous Medicine from Panamerican University. Dr. Markeita is extensively involved in serving her community through teaching at Atlanta area colleges and universities and as a member of numerous local committees and organizations. She extends her wide-ranging skills and health expertise to patients that visit of My Retreat Med Spa’s Atlanta locations who seek to enhance their lives through medical aesthetics and wellness.